The September issues give the fashion world some time to step away from topical issues, political events and awards ceremonies usually interspersed among the issues running up to the main fashion issue. The majority of fashion brands this year moved on from the 60’s inspiration onto the 70’s, with browns reigning supreme. 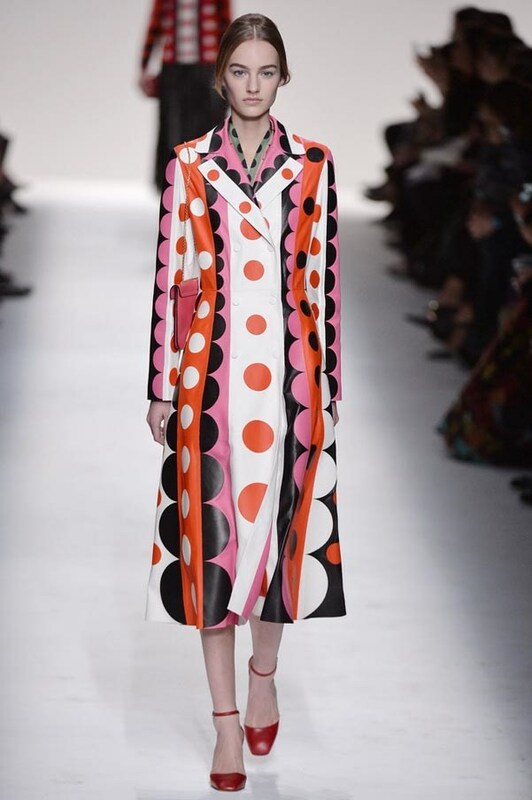 Remember my review post about the Valentino collection inspired by the 60’s last autumn? However, this season I love the detail-orientated pieces that come with some traditional designers more experienced in the small, more fiddly parts. Because fashion is so much more production orientated nowadays, speed becomes a priority and fine details are pushed into the back seat. That is why it is both surprising and exciting that designers have decided to bring back some of that intricate Renaissance charm, most probably influenced by the rise of elaborate costumography in shows like Game of Thrones (on Pinterest). New minimalist styles just don’t take your breath away in the same fashion that the MET’s ‘China: Through The Looking Glass‘ is doing nowadays, already garnering more visitors than it’s famous predecessor, ‘Alexander McQueen: Savage Beauty‘ which has now moved to London, simply by it’s attention to fine craftsmanship and detail. Game of Thrones Costume. All rights to the images belong to the owners of the image. Court robe, Qing Dynasty. All rights to the image go to the MET Museum. 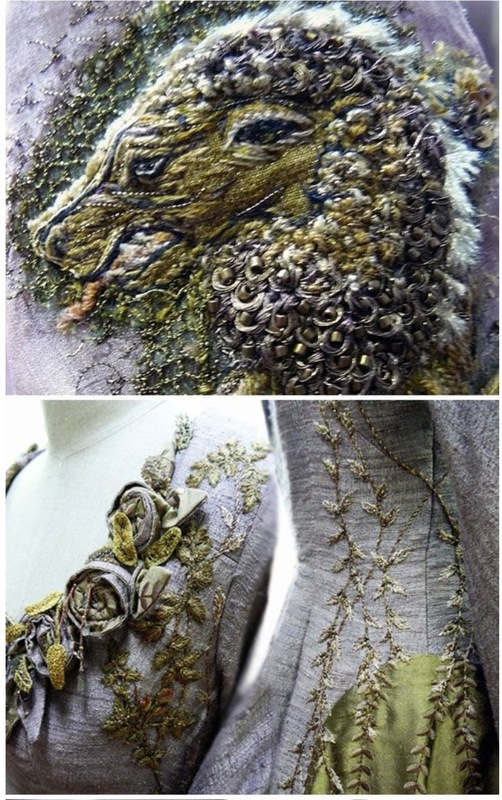 While the 2014 embellishment trend is still staying strong, a growing interest in some of the couture shows may have influenced the more popular brands to engage in embroidery. The quick-buy fashion consumers are getting bored and restless with simple, mainstream fashion, and designers wanted to add an interesting accent to modern pieces, hence the rise in this technique. The outfits of the popular twenty-something trendsetters looked too similar, with the fall fashions announcing their wide hats, slouchy suede bags and tall boots on the likes of Instagram and Lookbook. The trouble with looking at too many photos on a phone or a tablet is that the viewer soon starts spotting similarities, and repetitive appearances begin to bore them. 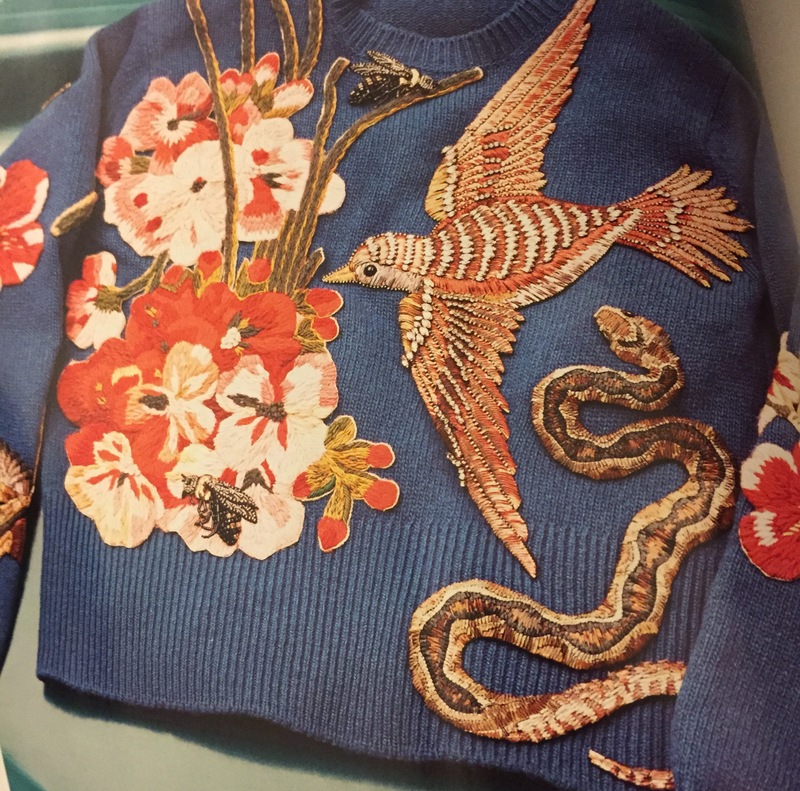 Now that the consumer can have a jeweled butterfly embroidered on their shoulder, or a snake twisting on the front of their jumper, fashion is not dull any more. Brought out of the slump, that unique piece will now bring in more interest from the fashionable crowd. Gucci embroidered wool knit top. Retailing for a little over 4000 pounds! Embroidery is associated with the finer, hand-made crafts, and more colourful, detailed images bring attention to areas that you never knew could be accentuated- a tiny initial on a cufflink, some golden roses on black suede ankle boots, a collarbone neckline edged with stars that twinkle with golden thread. Bringing old-fashioned mystery back into fashion is exciting- designers do not have to try and be simple to stand out, and can use the well of inspirations hiding under their polished brand exterior. While high fashion with all its possibilities will always be the inspiration, it is what trickles down to the more commonplace high street that interests me more, since embroidery requires more effort and time that stitching swathes of cotton and polyester together. So how will the big companies fare with this troubling trend that is going to be so popular for this season?